The global furniture market has been growing constantly year on year. The market will reportedly expand at a CAGR of 4.27% during the period of 2017-2021. Alongside the rise in population, high penetration of organized retail and the growing demand for ready-to-assemble and designer furniture, the adoption of new technologies is an important driving factor in furniture industry. 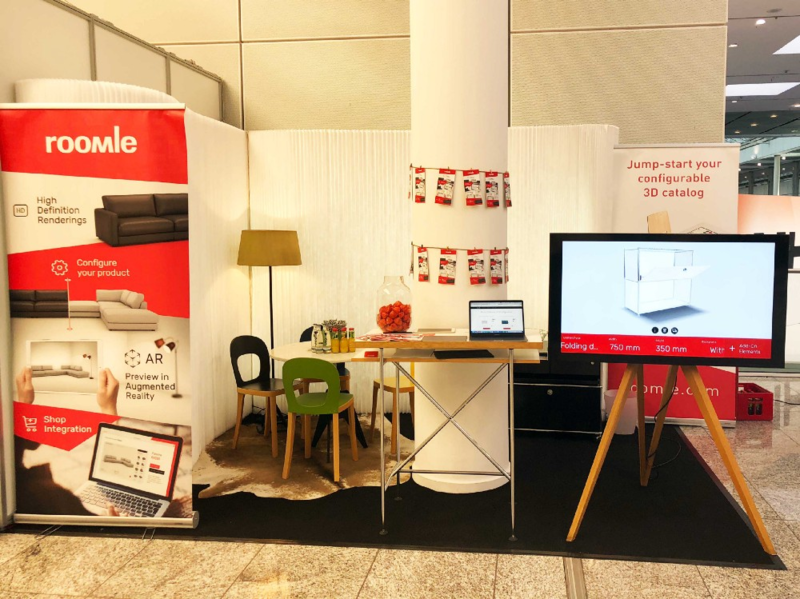 One of the biggest specialized trade fairs in Europe – IMM 2018 in Cologne, Germany – demonstrates this quite well. We have visited the trade fair and are now ready to share our conclusions with you. From 15th to 21st of January over 1,200 exhibitors, renowned design brands, and creative newcomers transformed the Koelnmesse into a large space of contemporary interior design and high-end futuristic technologies. 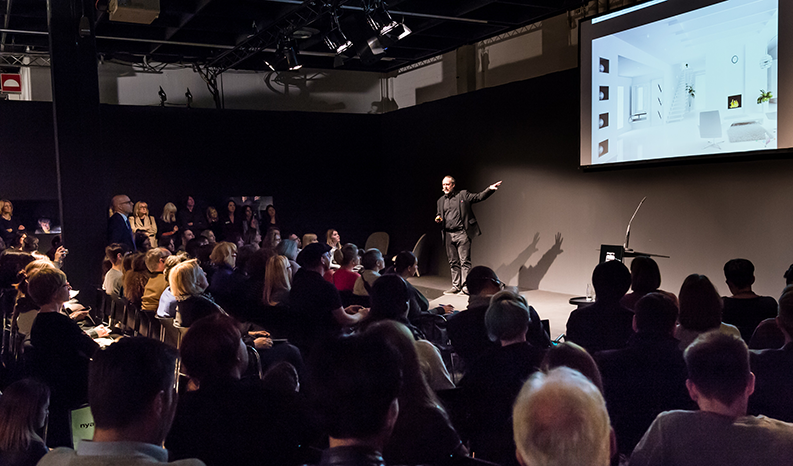 We witnessed a lot of tech innovations aimed to help brands showcase their products and boost sales. The technical part of IMM Cologne 2018 contained four main trends: furniture 3D configurators, space planners, augmented reality, and virtual reality. Let’s have a peek at the current industry trends. This is a must-have tool for furniture retailers and sales reps nowadays. Especially when selling furniture with modular capabilities. With online 3D configuration apps, you can show your visitors/potential buyers all possible variations of your products. You don’t need to bring 10 models of a sofa with you, as 3D configuration software allows you to showcase the whole range of your products with just a laptop or tablet. Also, in most cases, the price of the product is calculated automatically as you add new materials or options, which simplifies the work of salespeople and gives them more time for other important things. AR is another booming trend in furniture industry, unveiled at IMM 2018. Actually, in many cases AR is an additional feature of 3D configurators, allowing the sales people and the end buyers to place a virtual 3D model of furniture product in a real room in real time. From what we’ve seen, buyers really love this feature. And for furniture brands it means better sales. see products from every angle and position to get a better understanding. Global tech giants like Apple are very excited about augmented reality. After introducing ARKit, a new AR app development software, the company’s CEO, Tim Cook, emphasized that the furniture industry would benefit from AR the most. As a great example, IKEA Place app by Apple and IKEA lets you preview over 2,000 furniture pieces before purchasing them, virtually place items in your home and scale the cataloged items to fit the room. 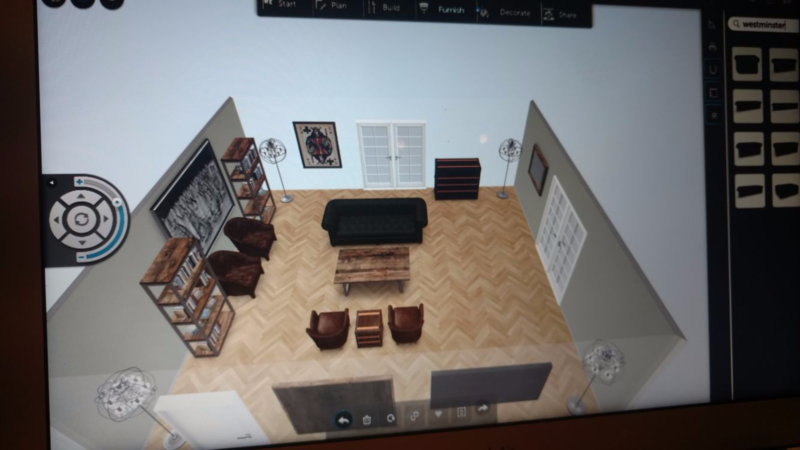 On top of that, customers can access the full 360° view and look at items from any angle.As a matter of fact, any furniture business can take advantage of this technology with the help of professional AR app development companies (Ukraine, UK, or elsewhere). Space planners is a very helpful solution for companies (both manufacturers and retailers) that deal with corporate clients like hotels. The software is able to convert 2D blueprints into 3D models and give a realistic impression of what the room or the whole apartment will look like. Then you can add realistic 3D furniture models, carpets, and other things. Flat 2D floor plans are quite difficult to understand, whereas 3D models with furniture and fittings will give your clients a true sense of size, space, and functions. Rooms, apartments, or even entire hotel complexes can be designed with the help of 3D space planners. Though we don’t hear many talks where VR and interior design are closely interwoven with each other, these terms seem to have a lot incommon. The idea of using VR in furniture market is quite new; however, we can see this technology entering the world of real estate and interior design. VR applications like this one is probably the best way of previewing design project as it offers to look around the new space, feel and experience potential interior before implementing it. Virtual Reality became one of the leading trends last year and it continues to grow, so there is no doubt it will be booming along with AR in 2018. And in furniture industry too. The global furniture market is being step by step revamped as new IT trends enter the playing field. Peeping at the future of interior design we see that emerging technologies of 3D modeling, augmented and virtual reality are finding new ways to attract customers and make businesses stand out against the competitors. These technologies provide efficient tools to increase customer satisfaction and boost sales. English in IT. Is it essential really?